Mukura VS’ Burundian defender Nshimirimana David takes on APR Fc’s Muhadjiri Hakizimana in last year’s league match played at Huye Stadium. Both clubs will know their CAF opponents on Saturday. 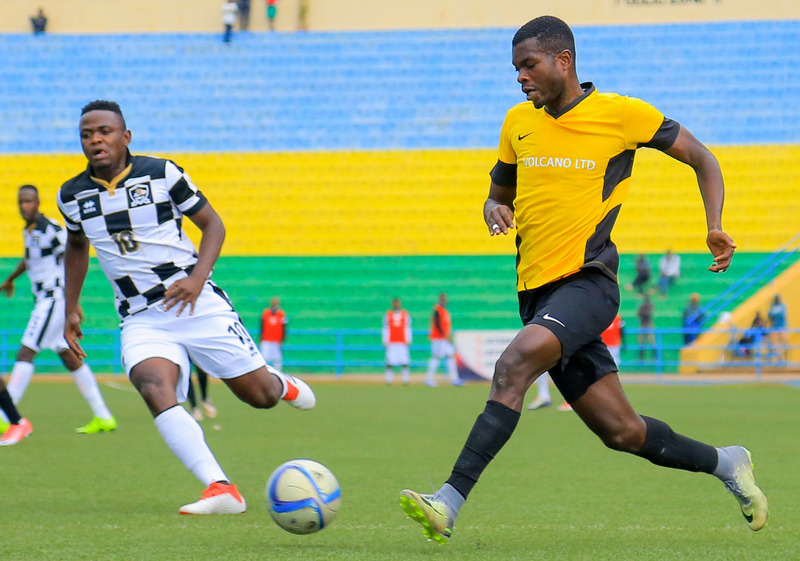 The 2018/19 CAF interclub competitions will officially get underway on the 27th of November, with Rwanda champions APR FC and domestic Cup winners Mukura VS prepare to hear their fate in the preliminary round of Caf Inter-Clubs Championships on Saturday. The continental body will hold the draw for both the Caf Champions League and Confederation Cup due to commence on November 27. APR Fc, who won the 2017/18 Azam Rwanda Premier League title, will represent the country in the CAF Champions League as Mukura VS will make their debut in the second tier club competition after winning the Peace Cup title with a 3-1 penalty win over Rayon Sports on August 12. “The draw for the preliminary rounds of the 2018/19 Caf Interclubs will be held on Saturday in Rabat, Morocco during the meeting of the Ad hoc Committee of the Caf Interclubs,” Caf tweeted on Thursday. Unlike in the past, this season will adopt a transitional calendar which allows the Caf club competitions to switch from the February-November schedule to August-May following the Caf Executive Committee decision in July last year. The upcoming season will start in the first weekend of December and end in May 2019, just before the Africa Cup of Nations (Afcon) tournament. All Rwandan clubs met the set deadline by CAF of submitting their squads on Thursday, last week. With the preliminary draw now on the horizon, fans of the two Rwandan clubs may be interested to take a look at the dates on which their clubs will be in action as they look to progress.